ESPN FC brings you all the coverage from Italy's shock World Cup qualifying failure. 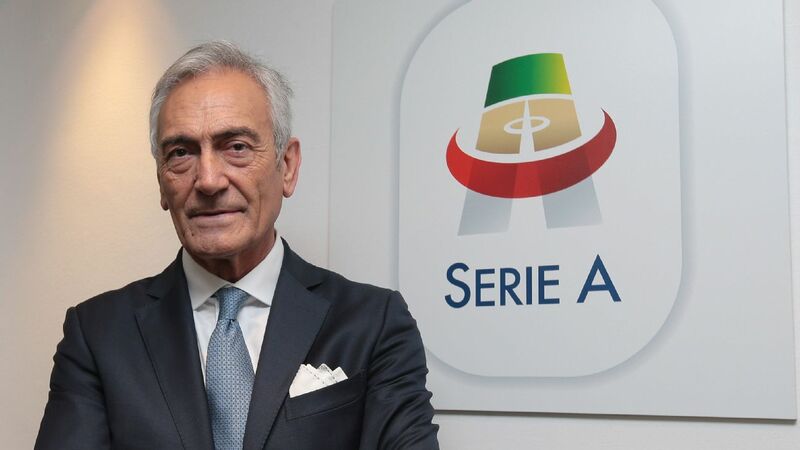 No words can describe the horror of Italy's World Cup failure but the Corriere dello Sport's Ivan Zazzaroni came close when he described Monday's playoff elimination as "an intolerable footballing shame, an indelible blemish." The Azzurri finally succumbed to the many problems engulfing Italian football that led to Carlo Tavecchio being made president of the FIGC and Gian Piero Ventura the head coach. And no-one feels the pain of such a heavy loss more than the veterans of the side. Four heroes and four legends announced their retirement from international football and both Italy and football thank them for their tireless contribution to the sport. Grazie a tutti. His tears at the end of the game against Sweden will forever be etched into the mind of every Azzurri fan, or even neutral who enjoyed all the legend has given to football. A symbol of fair play, Buffon was always the man to embrace every opponent, spur on his teammates and fight for the win in every way possible, including against Sweden on Monday night. Had Italy qualified, he would have made history by being the only player to have participated in six World Cups. Alas his country betrayed him at the final hurdle. Without him, Italy will lose a leader and a true great but he will never be forgotten. From the first moment he donned the gloves for the Azzurri, in a World Cup first leg playoff against Russia on Oct. 29, 1997, he was decisive. He made a vital save to deny Dmitri Alenichev and at that moment, Italy knew they had a champion. Whether the finger-tipping of Zinedine Zidane's header in the 2006 World Cup final or the magnificent dive at full stretch to stop Paraguay's Hugo Brizuela's attempt in 1998, Italy may never find a goalkeeper as brilliant or as loved as Buffon. Gianluigi Buffon's 20-year Italy career ended on Monday night but his legacy is safe. A symbol of fervour and passion, no-one felt the emotions of a match quite like the Roma captain. A complete midfielder boasting vision, physicality, technique and insatiable energy, it was his never-say-die attitude and deep desire for success that made him a hero to so many Italians and a symbol for future generations. A soldier in the middle, De Rossi understood the honour of playing for Italy like no other. In fact, when Italy's former kit man Pietro Lombardi, a valued member of the 2006 World Cup winning side, passed away, De Rossi attended the funeral and laid his winners' medal in Lombardi's coffin. He may have frequently let his emotions get the better of him but it is those very feelings that drove him to be one of the best midfielders to have donned the Azzurri jersey. A beast of a defender who felt no match was ever won unless he suffered a few gashes in need of stitches or a bandage wrapped around his head, Chiellini symbolised tough tackling and an old fashioned physical defending. Boasting a remarkable ability to get away with a few fouls per game, Chiellini fought with all his might, delivering a blow at every opportunity. But he always left the field with a smile on his face, embracing the opponent with genuine affection. Few enjoyed the duels within football as much as Chiellini. A warrior on the pitch but a gentleman off it, Chiellini could well be the last no-nonsense defender to have worn the shirt for Italy in an era when defenders are expected to create more than they're expected to defend. Yet Chiellini did it all, including scoring the goal that helped Italy defeat Czech Republic to qualify for the 2014 World Cup. Forming a bond with his compatriots to create the most feared defensive unit, the "BBC" (Bonucci, Barzagli, Chiellini) backline, his style of play and legendary status will never be forgotten. Few defenders played with as much heart and ambition as the Juventus defender. The defender who provided the elegance to the "BBC," Barzagli aged like fine wine, getting wiser and better in his latter years. A member of the 2006 World Cup winning squad as well as helping Italy reach the Euro 2012 final, Barzagli was the symbol for consistency and reliability. Dubbing Italy's failure to reach the 2018 World Cup his biggest failure as he wept on the sidelines alongside Buffon, Italians can only hope they forget his haunting sadness and instead focus on the defender's many achievements -- none more important than reintroducing the intelligent traits of Italian defending that helped drive the Azzurri forward. Famed for his perfect positioning, anticipation and commanding presence, Barzagli was the all-seeing defender who instilled a sense of security at the back. Nicknamed "The Wall," Barzagli wanted to retire after Euro 2016 but couldn't resist one last effort to join his compatriots as they sought to start a new era. Both he and his teammates deserved more than such a heinous ending to an otherwise glorious Azzurri career but the defender who blossomed like no other in his twilight years will always be remembered for his humanity, strength and his many enviable achievements.